From paying your bills to ordering your favorite stuff from an online store, mobile apps have made things easier than ever. Be it about anything, an app is available for every possible task you are willing to conclude. Apps are available there in the App Store for every possible concern. Some of them are really useful while others are not as functional as they should be. The list of such apps is a lengthy one and thus we are presenting the apps that are regarded as the best. We are presenting the top 50 iPhone apps that will make your smartphone the jack-of-all-trades. These apps save your smartphone’s battery and truly function well. 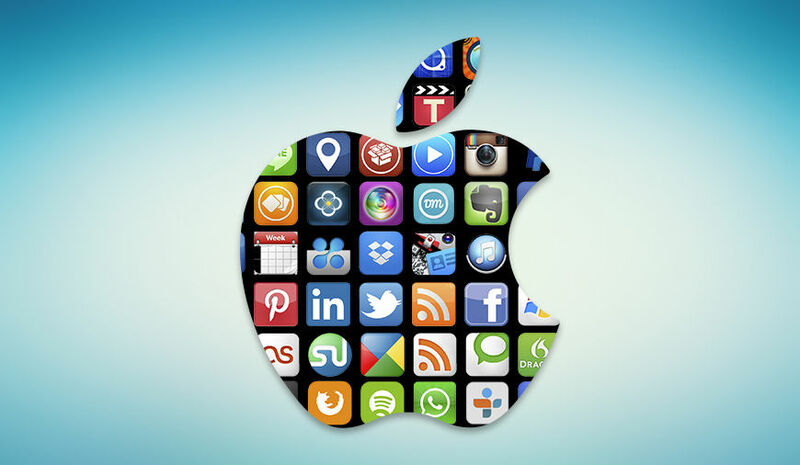 We have researched the top apps in a different category in order to frame the list of the best iPhone Applications. These apps will not only make your life easier but also more enjoyable at the same time. It is probably the best way to kill your time in the right way. This social networking app is also the best when you wish to connect with your friends' residing miles away. 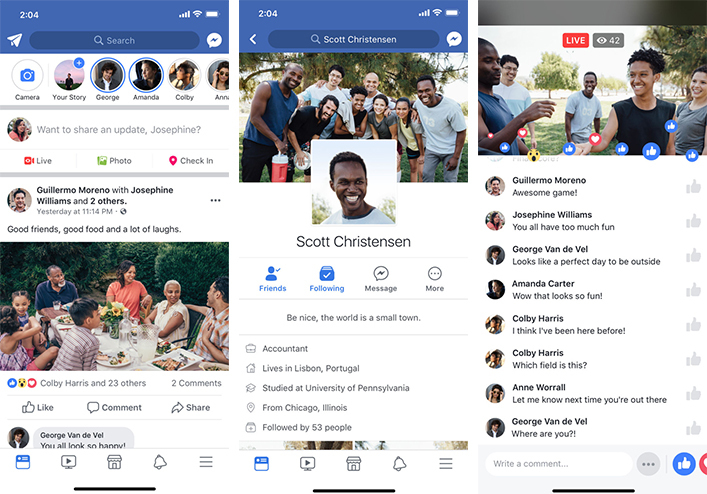 Facebook offers a quick chat option, which is another benefit for the users to instantly connect to other users residing at any other part of the world. Facebook is one impressive owing to the functional features it provides. It also offers the “live video” option in addition to mentioning their check-ins at any of the locations. It takes you into the world of wonderful snaps that your connections post in their feeds. Instagram is now owned by Facebook. The app has surely taken the picture sharing over social media to another level by providing suitable filters to add to the posts. The filters enhance the quality of pictures in addition to adding uniqueness to them. YouTube offers a different subscription plan for users as per their convenience. It is the best in case you wish to have a superb show watching experience on your smartphone. 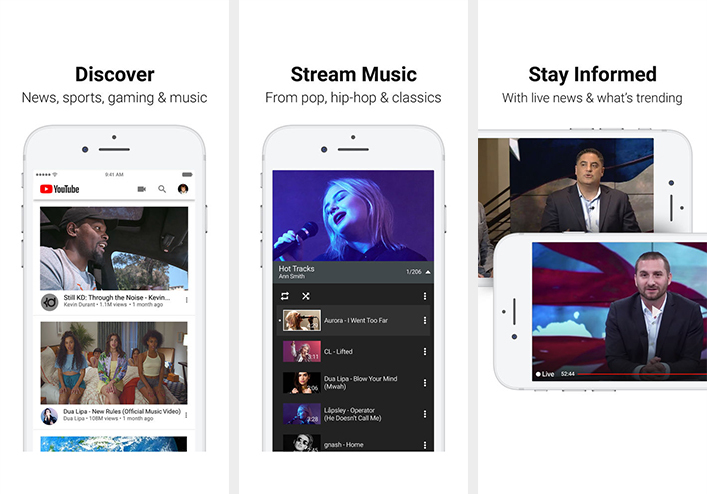 YouTube offers every latest feed right to users smartphone available free and with a little subscription fee. With the help of Bitmoji users can customize everything to cartoon characters with customized eyes and hair colors. There are outfits and accessories to add more colors to the customized character. The app can be linked to Snapchat offering additional customization opportunities to the users. 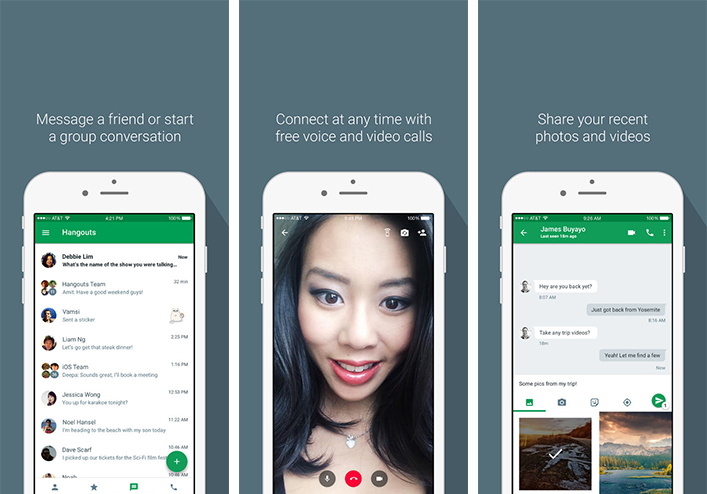 Hangout is another standard app to communicate to your friends settled in any corner of the world. Hangout let you invite friends for a chat or make a group to initiate the chat. Free voice and video calls are there for the users to invite others to the quick call. It offers a free sticker to express your emotions truly. Hangout offers all that is required to make your app browsing experience a superb one. It is ideal for casual and even the professional talks or to take a meeting wherever and whenever needed. It is one among the best, for anyone who loves unlimited texting. The latest feature offered additional limelight to this application. The sleek features along with a number of message forwarding elements make the app one of the must-have iPhone apps for the users. They recently added message deleting feature. The app is one superb to offer extended online dating experience to the users. The hot or not option along with swiping right and left is just superb when it comes to meeting your date for the very first time. The date you find the most suitable can be asked for dating out in real. 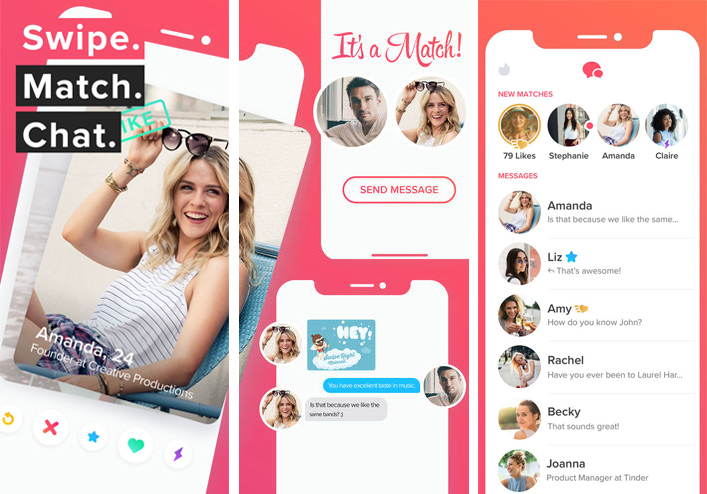 Tinder has every element that is required to take a dating app to the next level into the category of the best dating apps for iPhone. This dating app of finding your match does the guesswork for you to find a suitable match. It has a superb algorithm that only gets 21 dating options for users from the people who are interested in similar profiles. The video option offers an option for the users to interact with their date on a personal level if they are interested in the same. Oh She Glows is another exceptional application that comes under the cooking category. 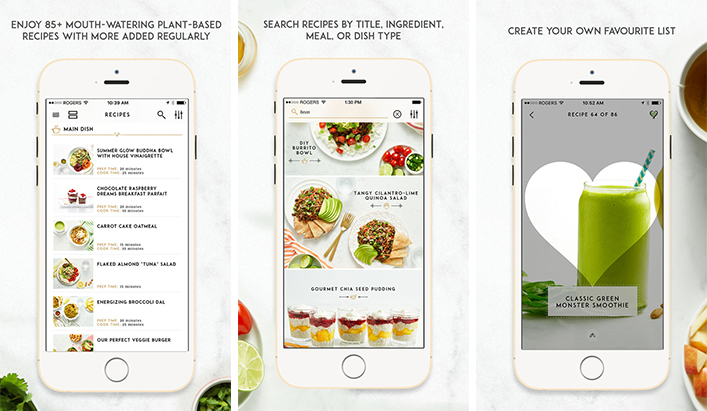 The app includes over 95 plant-based recipes that are healthy and tasty at the same time. There are attractive pictures and step-by-step direction for concluding a recipe. In case you are looking for cooking apps, Kitchen Stories is the best iPhone app for you. The app has compatibility with Apple’s tvOS as well as watchOS to help users sync their shopping list. The option of adding custom cookbooks adds another superb feature to this impressive application. And, the best thing, Kitchen story is available in 12 different languages. The best iPhone gaming app for the users to play a host of games. This includes the features similar to SmartGlass. There is an option to view trophies, compose the message and make use a number of superb gaming elements to take the experience to a whole new level. Some games have second-screen functionality that not only enhances the experience of the user but also offers them extended gaming adventure. The deeper play experience it offers is just awesome. Nintendo’s online app is the most convenient way for users to play Splatoon 2 with your friends. Currently, it only supports Splatoon 2 game, which is going to extend in the upcoming years. There are exceptional gaming elements to take users’ experience to a whole new level altogether with the Nintendo Switch. 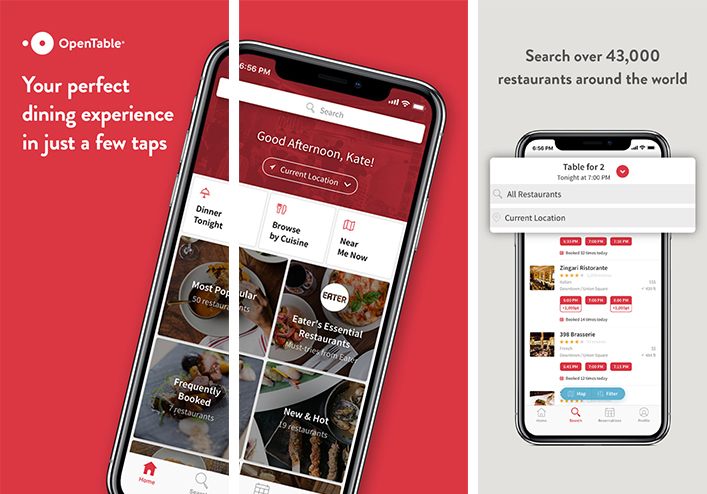 It allows users to search for new dining places, restaurants and the food joint all in the one go. While searching for your preferences, you could also book the tickets for your dinner. It has a number of options for users to explore different menus prior to booking their tables with any of the restaurants. Calm is a meditation application for the users. It offers a guided lesson for the beginners at a different level. The app also offers a meditating lesson on intermediate as well as advanced level. This is superb for people in all the age category be it a child, a grown-up or an adult. It is a must try for all the fitness freak so that they could lead healthier lives. There are lessons that guide users to achieve their goal. It offers outdoor activities combining different destinations. It includes the posts by hikers and kayakers from across the globe who are the masters of their fields. There are weekend adventures for the users to follow as per their requirements. 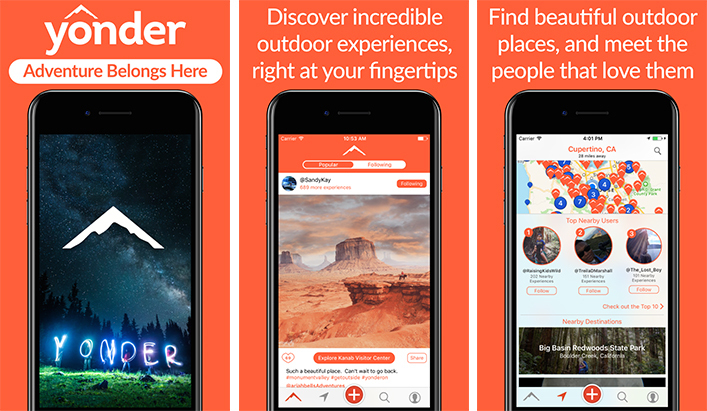 The incredible outdoor experiences are available at users’ fingertips. The app is meant for all the adventure enthusiasts coming from the global arena. It is one of the best music apps for users. It recommends the best choices in the music depending upon the personal music library of the users. It works with your iTunes to offer a superb music browsing experience. The subscription fee ranges in the different category to help users choose a suitable plan as per their taste in the music. There is music recommendation for individuals, students as well as families. The menu is a huge one that users can browse through to get the application. 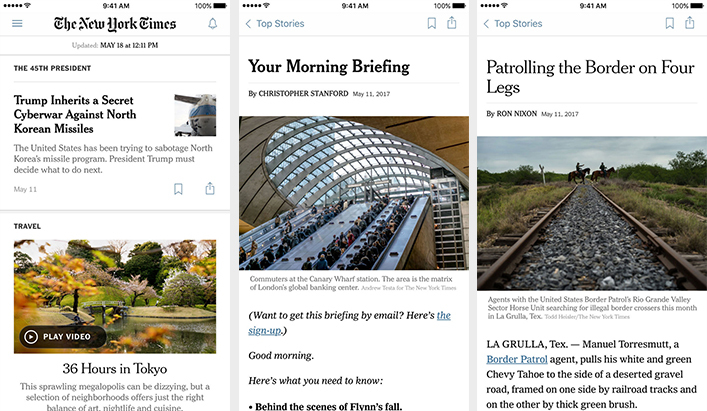 One of the biggest global newspaper offers the users all the current news feeds inside an application. There are news alerts as well as morning briefing for the users to choose the news they want to go through. It offers a chance to save the articles offline if they wish to keep a story save for later. The users can thus install the one if they want the same. Facebook local is the place to discover new events, nearby attractions, restaurants, party places or anything that you would like to attend. Since the application is integrated with the Facebook, it helps the users to see all the program their friends are attending. StubHub is the best option to buy or sell the tickets for an event, be it game, concert or a happening party near to you. 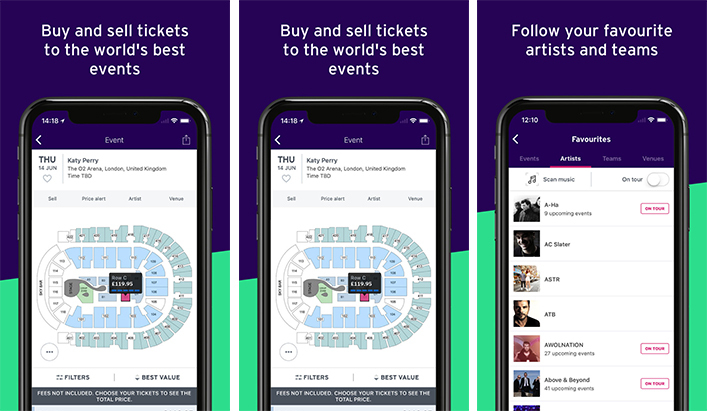 StubHub is the perfect iPhone app for those who enjoy partying the most. The interactive maps and the huge marketplace helps the users to choose their events as per their wish. This is a free workout application from Nike. It helps users to see a lot of familiar faces of world-class athletes and celebrities who are very much into fitness training. It helps users to track your personal exercise habits and sync the account with various social media channels. 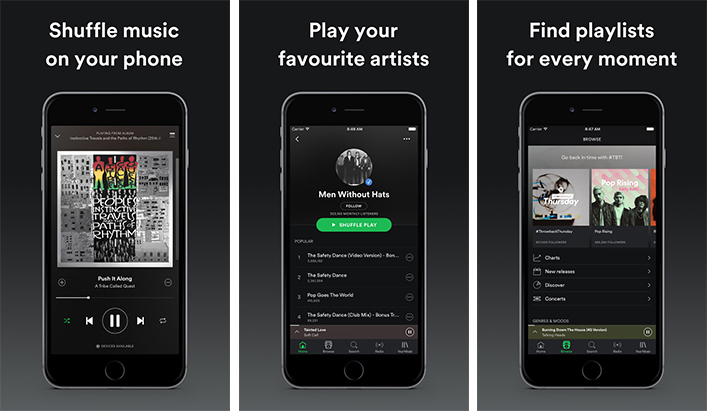 Spotify app gives instant access to listen to a directory having songs in a number of genres. As a musical app, Spotify has surely changed the game for the entire music industry. And, the most promising element of this exceptional musical app is it comes for free on PCs and tablets. But it charges $10/month if you want to use the same on iPhones. Well, spending a little money on this app is totally worth. Tidal is the subscription-based music service application for the users. The app offers music services backed by Jay-Z. Tidal offers high-quality music streaming along with high definition music videos. Users are offered access to the exclusive music tracks as well as albums. 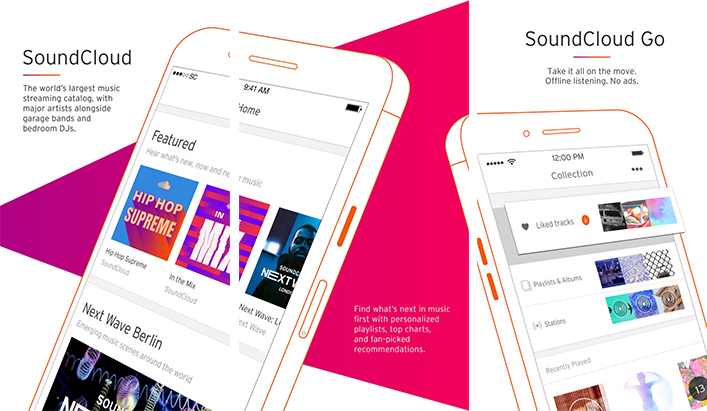 Soundcloud is the music player that is one favorite to the musicians. It allows users to follow and listen to the music. The app has an assorted option for getting access to your favorite music, trending audios as well as making your favorite playlist to listen to the same. Apple music offers the recommendations to the users depending upon their choices. The app gets a playlist for you as per your choice the songs you love to hear the most. 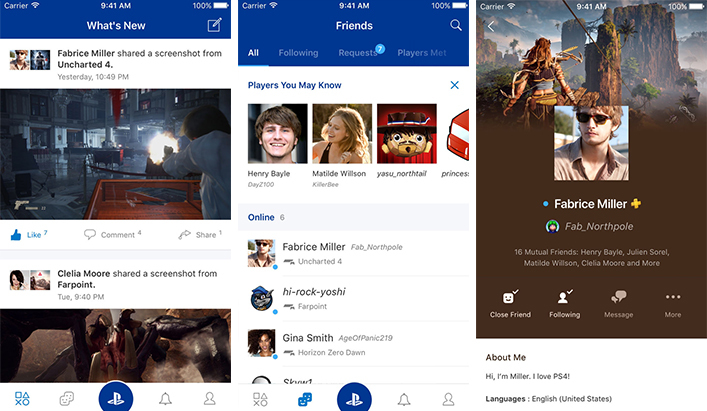 Users can create their own profiles, playlist allowing with following the friends in order to see their favorite stuff. 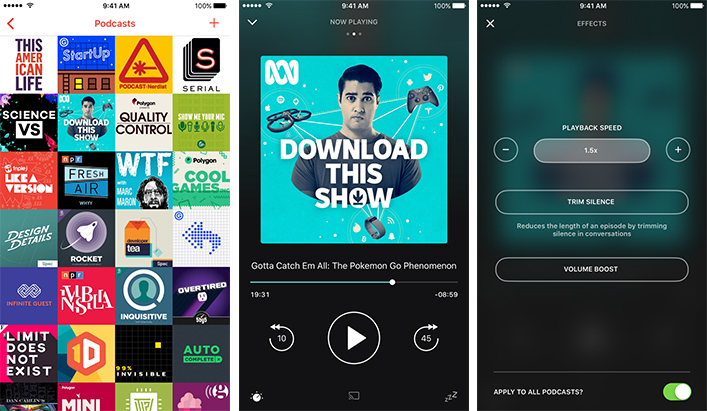 This podcast iPhone app comes built-in with all the Apple devices. It is a lovely gift to all the podcast lovers owing to the exceptional features it offers to the users. There are a lot of surprises for the users and one of the most important includes customizable skip intervals, Chromecast, and much more to it. One of the applications to check your financial transaction and the account balance. The most important thing is users can make the transactions from any part of the globe in order to pay or receive the payment. Users can add their credit cards without giving the entire detail of the same. Another payment application for the users who like the online payment transaction mode. By connecting their debit card to the application, users can directly make person-to-person transaction easily. The transaction is free of cost, which is a reason for the popularity of the application. In case you are looking to send your money directly to the US bank, Zelle will help you. It can be integrated with your device in order to make transactions easily. The app helps you send, receive or request money from other users. 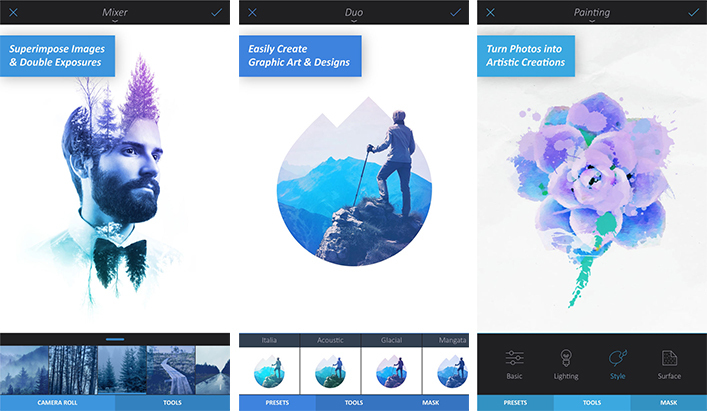 Enlight, the photography application was developed to deliver the most powerful photo editing tool to the users through the application. iPhone 7 and 7 Plus users have a greater advantage of using this. There is a wide range of display colors available for the users, assorted filters, and innovative tools that make the pictures larger than the life. VSCO can be tagged as the professional version of Instagram. It includes the best tools to make a picture look much more appealing. With VSCO, the best photography application, it gets easy to click high-quality pictures by including advanced tools in order to post them into the VSCO profiles. 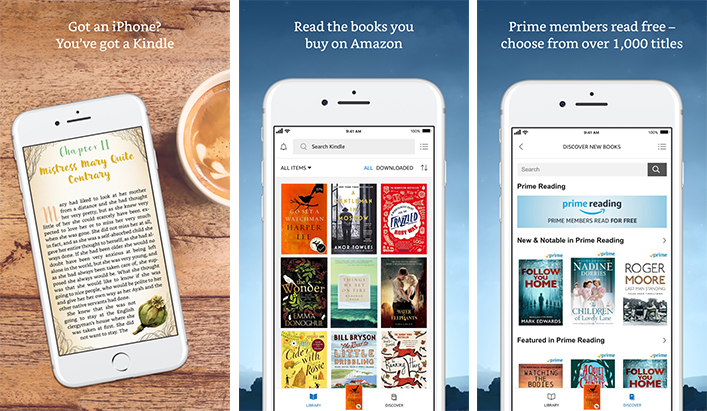 Users can get the Amazon Kindle application to read their favorite books anywhere they want. Kindle has one of the largest literary collection in the whole world, which offers an assorted collection of reading material for the users, which makes Kindle very famous. Based on users’ liking, it recommends the best reading material to the users. The app also shows the recommendations to the users which their friends like the most. Users can connect to the book clubs and discuss a topic with other readers across the globe. This is the application for those who love listening over reading a book. 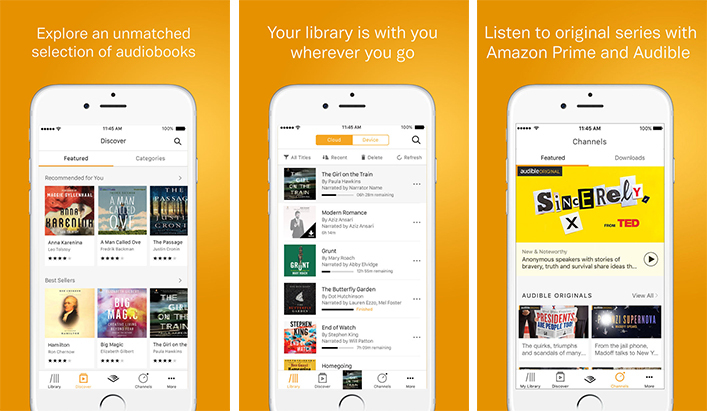 The app includes 1,80,000 titles for the users that they can browse through in order to choose the one as per their liking and hear the same with the audible. The narration speed can be increased or slow down as per the users’ wish. 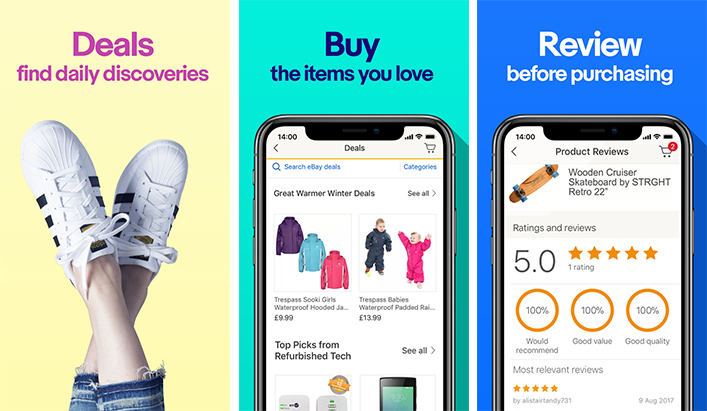 Amazon comes under the shopping category. And, there is a host of reasons available for the same. Amazon is the largest online retail collection for the users that offers them everything home delivered within a few days. It offers exceptional deals to the users. eBay is exceptional in the category of shopping application. You can buy or sell anything from this amazing online marketplace. The app is much easier to use owing to the exceptional features it has for the users. Users can bid on the items and track their order once place with the application. Deliveries is the package tracking app for the users. There is a dedicated Notification Centre widget for the users, calendar support for estimated deliveries and compatibility with the macOS that help users know the exact delivery date they can have their products delivered to their doorstep. ESPN enjoys the monopoly on the sports stuff. It is the best in the sports category and meant to those who love remaining updated on sports news. 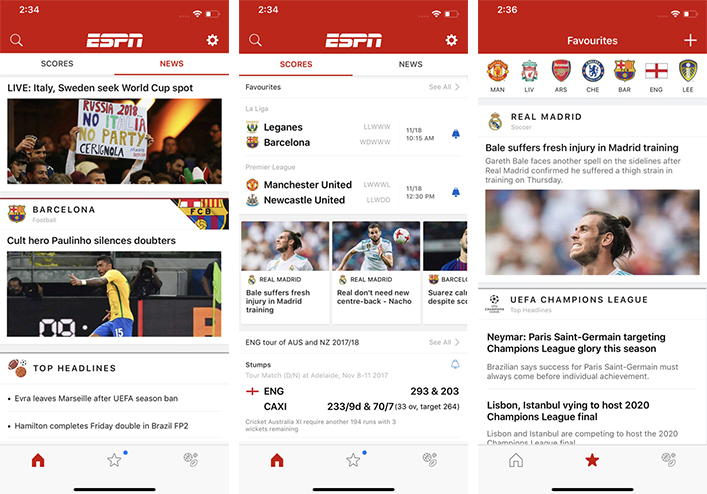 The ESPN app allows effortless mobile streaming to the users. This must-have iPhone application comes under the sports category and seems to be the best for metrics-obsessed basketball fanatic. It offers daily and weekly updates to the users in order to predict the future of different teams taking part in the game. 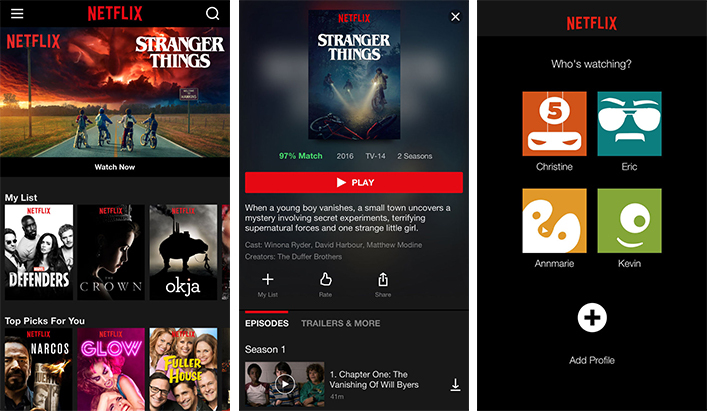 Netflix doesn’t require any introduction; however, this exceptional video streaming iPhone application is a gold mine for those who love television shows and movies. The app offers the opportunity to the users to live stream videos on a minimal monthly fee. There are assorted subscription options available for the users. HBO Go is HBO’s subscription-based streaming application. It works wonders with Chromecast so the users can stream it on the big screen too. It asks for a minimal subscription fee of $15 to offer exciting television viewing experience to the users. Hop on the Uber rides if you wish to get an affordable drive to your destination. The best travel application lets you book rides on private vehicles to enjoy a safe journey, which is not at all possible in public transports. This alternative to traveling on public transport is actually awesome for the daily riders. 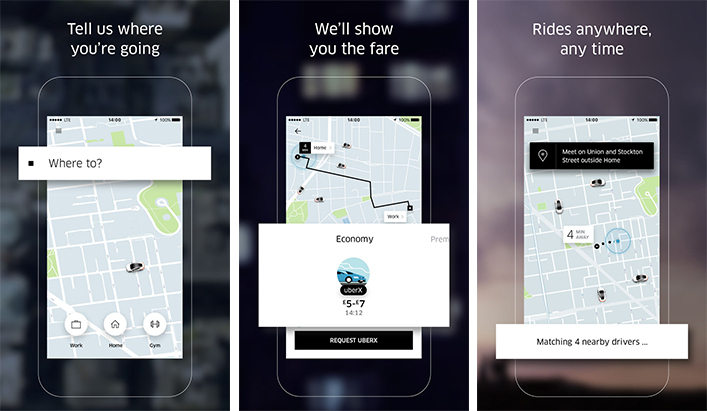 It offers discounted rides to the users offering them an exceptional experience. As soon as the users sign up for the rides they get discounted fares on the same. The pocket-friendly riding option has a feature that allows riders to split the fare cost, which makes it much more reasonable to take a ride. 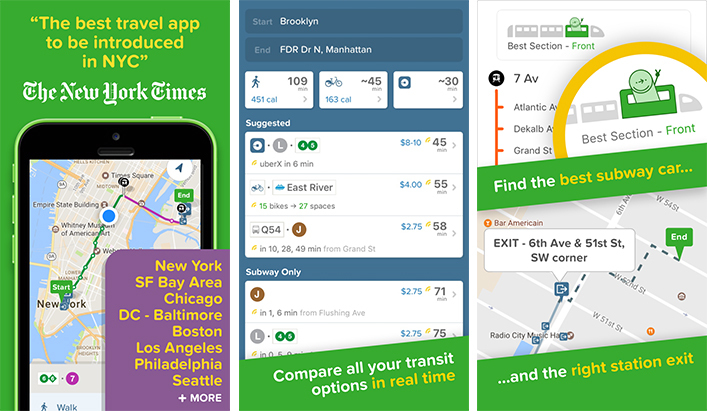 Citymapper is for those users who are more of a tourist and love to visit new places. The application helps users to explore a variety of places in a new city to know the most happening ones. The users can also search for the option from biking to finding public transport and to hop out of a subway. As the name suggests, the app lets the users keep all their important document at a place in the iPhone, iPad as well as MacBook. The app has a variety of options that help users organize their professional stuff at a place. The app is compatible with third-party app resources like Google Drive and Dropbox. The app chooses to focus on the quickness. 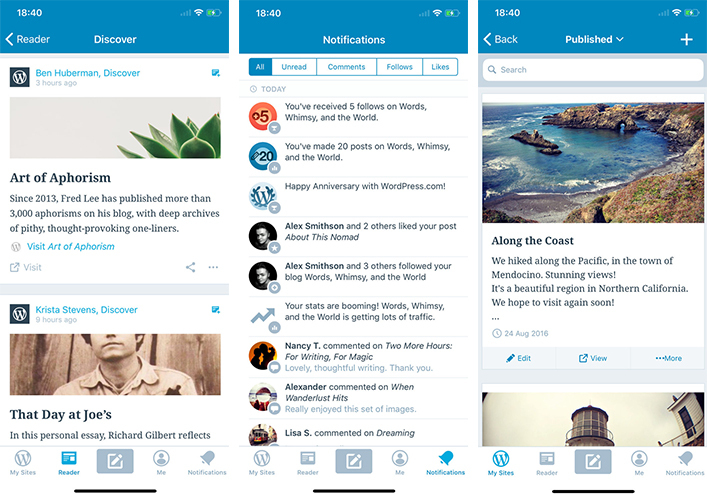 It helps you to publish the posts and moderate the comments too. The easy-to-use interface is one of the best features of the app that makes writing, editing and documenting much easier for the users. Additionally, image drag and drop option help to make a blog posting much appealing. Nine is for those who like to take the visual notes instead of the written once. 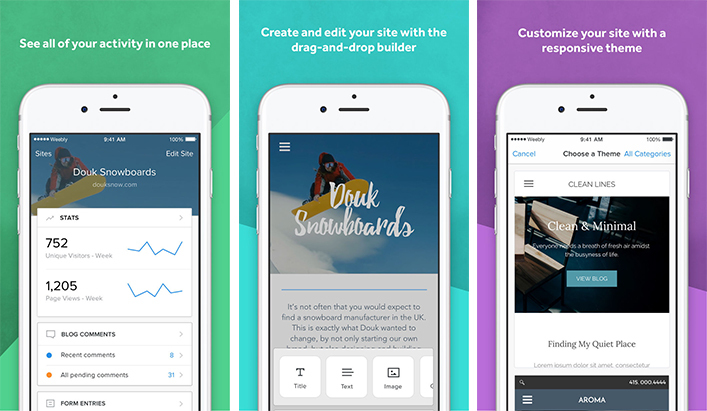 This visual note-taking app is the best to create entries simply by taking photos and applying the tags on the same. Users can apply filters to the photos prior to saving the notes. The app version of Weebly is much easier to use just like the web version. Weebly is as exceptional as the web because of the features it offers to the users. 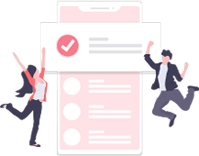 Users can post content on the blog or website with ease, monitor the activities as well as save all the work offline that can later be synced to different devices. You can use to change the wallpaper once in a while. There are assorted wallpaper options that can help users to choose the one they like to use on their screen. The curated library and elegant interface are the most exceptional features of this application. 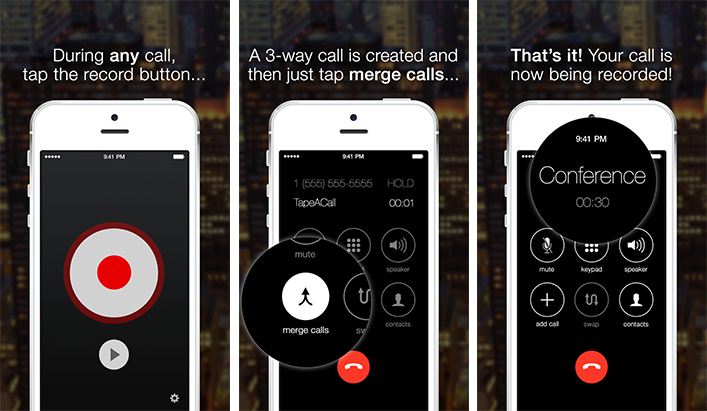 Recording the calls is now easier with the apps like TapeACall. It makes the recordings much easier with a tap on the button. All that users need to do is to open the applications and dial in the number. The app also provides an option to record the call on conference too. Apple’s Safari is good enough, the best thing about the application is Safari accepts third party request. Translate Website Extension for Safari is available free of cost to download. The app works through Google translate and supports nearly 104 languages. This concludes our post on the best iPhone apps for the users in the different category. The compiled list includes apps right from music to the meditation and to the dating as well. Depending on your specific requirements or the choice you can install the one that seems the best. Thus, get the one that you find the most interesting.